Calling all ice cream fans! 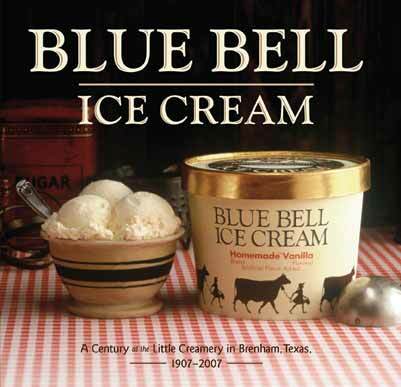 Holli’s Sweet Tooth is kicking off National Ice Cream Month with a special event on Tuesday, July 5th from 5:30 p.m. to 8:30 p.m.
A representative from Blue Bell Ice Cream will be on hand to talk about the history of Blue Bell, and free samples and giveaways will be distributed during the evening. Follow the event on Holli’s Facebook page here. Are You the Ice Cream Cone Thief? On Saturday, April 30, at 2:05 a.m., a large, decorative ice cream cone was stolen from outside Holli’s Sweet Tooth. Thanks to the wonders of modern technology, the thieves were caught on tape! Take a look at the footage here to see if you recognize the perpetrators. Is it you or someone you know? If you woke up on May 1st and wondered how a giant wooden ice cream cone ended up at your bedside, now you know where it came from. I’m sure Holli would appreciate its safe return. 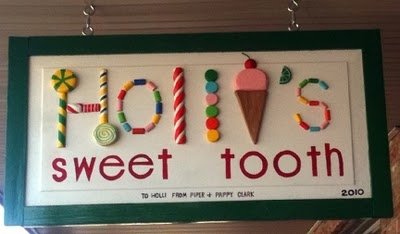 EatingOxford.com reader Frank Hurdle has passed along the good news that Holli’s Sweet Tooth got a new sign this week (the last one was stolen a few weeks back)! Frank says that a little girl, who is a faithful Holli’s customer, was upset about the sign getting stolen and asked her grandfather to make the store a new sign (Note the signature on the bottom of the sign: To Holli from Piper and Pappy Clark). As you can see from this photo sent in by Frank, the sign looks good enough to eat. Celebrate Candy Month at the GumBall! Got a hankering for some candy and rollerskating? 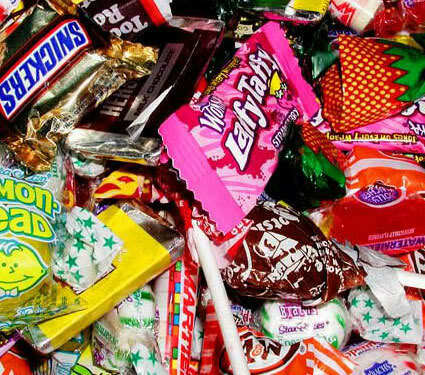 Tomorrow night (Tuesday, June 29), come out to the Skate Place at 307 Tanner Drive in Oxford to Celebrate National Candy Month with Holli’s Sweet Tooth when they hold a “Gum” Ball. $4.00 admission includes skates, candy, drawings for prizes and more! OK, I think it’s safe to say that it’s officially ice cream weather. The line at Sno Biz today was filled with wide-eyed children who have waited all winter long to sink their teeth into a frosty snow cone. 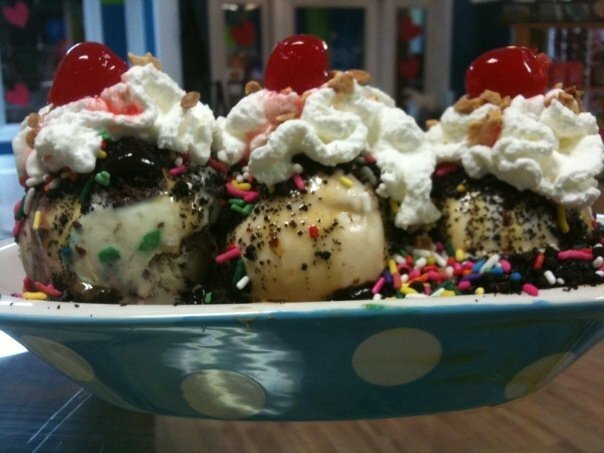 Up the street at Holli’s Sweet Tooth, scoops of creamy, frozen goodness were being transformed into milkshakes, sundaes and banana splits. Yes, it’s time to partake in one of the season’s favorite treats, and the weather couldn’t be better for it. Stop into one of the many ice cream, frozen yogurt or snow cone purveyors around Oxford and grab yourself a cool treat—you deserve it!